Vintage Sparkling AB Aurora Borealis Crystals Rhinestones Heart Shaped Gold Tone Clip On Earrings 1960s Stunning! 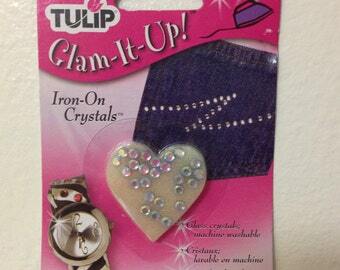 Gift for Her! 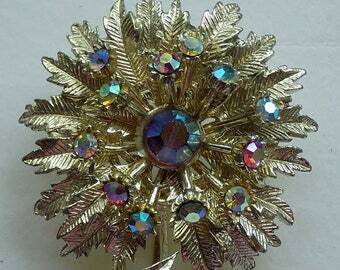 Charming vintage LEAF- SWIRL brooch w sparkling Aurora borealis CRYSTALS! 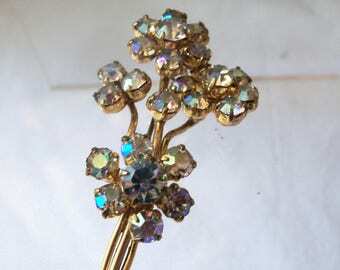 Brooch with aurora borealis crystals. Small Fresh Green Enamel Daisy brooch with sparkling Aurora borealis Crystals.